I love a good body oil, these sound lovely! I use Kris D'Amour Soothing Body Oil or the Marble & Milkweed one – I love a woody kind of scent! 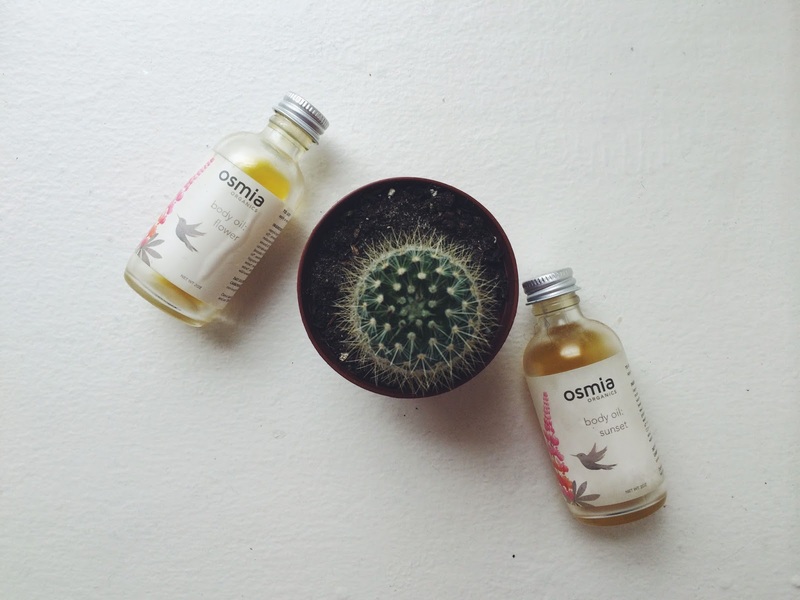 I have always wanted to try these body oils from Osmia! Sunset sounds like an amazing scent. Great review! These are my two favorite scents from Osmia's lineup of body oils. I haven't tried Night yet, but maybe I'll give it a whirl. I love how fairly priced these are (for $20, the little sizes last a long time, yet you're not locked into that scent forever!). I love all things Osmia. My top favorite in their body oils is Water Lily – the website warns you may find yourself sniffing your arm during meetings, which I have actually done. It's irresistible and one of the best scents ever (I always love a vetiver base). I also have Stream, which is more flowery than I usually go for, but when I'm in the mood it's perfect. I've had samples of a few others, including the unscented, and they are all lovely. But Water Lily and Stream I bought in the large size pump. I hope you do try them out! Love Sunset…I remember the founder herself saying Sunset was her go-to to feel ultra feminine and sultry. Thank you! High five, girl! I agree with you–they're the perfect size to keep things novel.